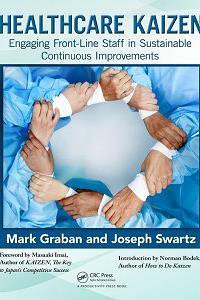 Author of several books including, Lean Hospitals & Heathcare Kaizen, on how to improve healthcare. Leaders are often caught between being short on time and having to make accurate assessments of performance. By using simple statistical methods, we can avoid overreacting to every up and down in our performance measures, though, saving time and reducing frustration by not asking for “special cause” explanations for data points that are essentially noise in the system. Mark Graban will share expert tactics for shifting leadership focus from the old standby of drilling into random metrics to instead using data points correctly to systematically improve overall performance for the long term. As health systems are focusing more on a balanced set of improvement metrics from the front line to the boardroom, it's important that “data-driven” decision making is based on a statistically-valid view of performance metrics. Without the skills and mindsets discussed in this talk, leaders at all levels risk creating waste that's caused by overreacting to every fluctuation in performance. This talk describes a practical methodology for evaluating performance measures that allows organizations to ask the right questions and to focus on improvement in a way that best improves outcomes. 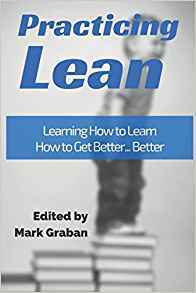 How does Lean help hospitals? Lean helps your leaders and staff work together to improve patient safety and quality, reduce waiting times, reduce cost, and more! In this talk, Mark Graban provides an engaging overview of the Lean methodology and its powerful applications in various healthcare settings. Moving beyond mere tools, Graban’s talk illustrates the foundations of Lean as a management system and an organizational culture, using examples and lessons learned from his own work and leading hospitals around the world. This talk can be anything from a one-hour overview, a longer in-depth session, or a facilitated discussion with senior leaders that helps clarify your organization's plan and progress. 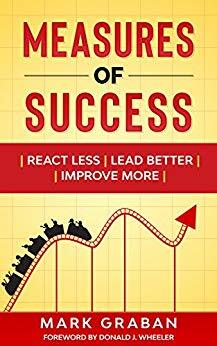 Mark Graban’s latest book is Measures of Success: React Less, Lead Better, Improve More, a book that will help leaders and business owners in any industry save time and improve performance based on proven math- and science-based methods. Mark is an internationally-recognized consultant, author, keynote speaker, and blogger. He builds upon a deep education in engineering and management with practical experience working with executives and frontline employees in multiple industries to synthesize and practice methods including Lean management, continuous improvement, statistical methods, and people-centered leadership approaches. Mark’s motivation is to humbly help others learn how to improve and sustain performance. In his healthcare work, this means improving the quality of care and patient safety, while also reducing cost and improving the workplace experience. Across multiple sectors, goals also improving the customer or patient experience, to help the development of leaders and employees, and to build stronger, more adaptive organizations for the long term. He has learned, practiced, and taught these methodologies in settings including manufacturing, healthcare, and technology startups. 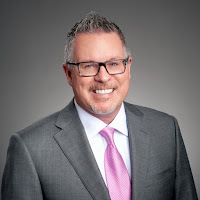 Working independently since 2010, and in partnership with other consulting groups, Mark enjoys working with organizations that are looking for better ways to improve, with leaders who are willing to lead that charge. Mark is also a senior advisor to the software company KaiNexus. 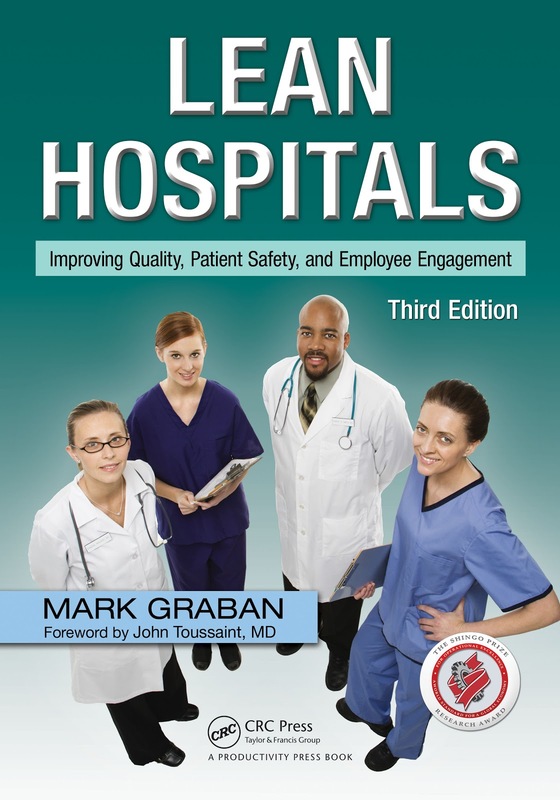 Mark is the author of the book Lean Hospitals: Improving Quality, Patient Safety, and Employee Engagement (Productivity Press), which was selected for a 2009 Shingo Research and Professional Publication Award, the first healthcare book to win this award. The book has been translated into eight languages. A 3rd edition was released in June 2016. Mark is also co-author of Healthcare Kaizen: Engaging Front-Line Staff in Sustainable Continuous Improvements, which is also a Shingo Research Award recipient. 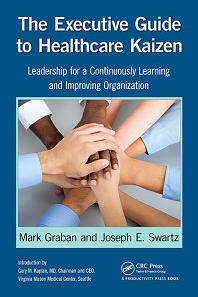 A newly revised and condensed edition, The Executive Guide to Healthcare Kaizen: Leadership for a Continuously Learning and Improving Organization is also available. 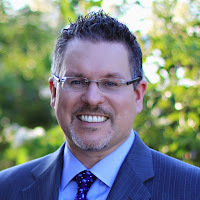 He served as editor and lead contributor to the anthology Practicing Lean: Learning How to Learn How to Get Better... Better.